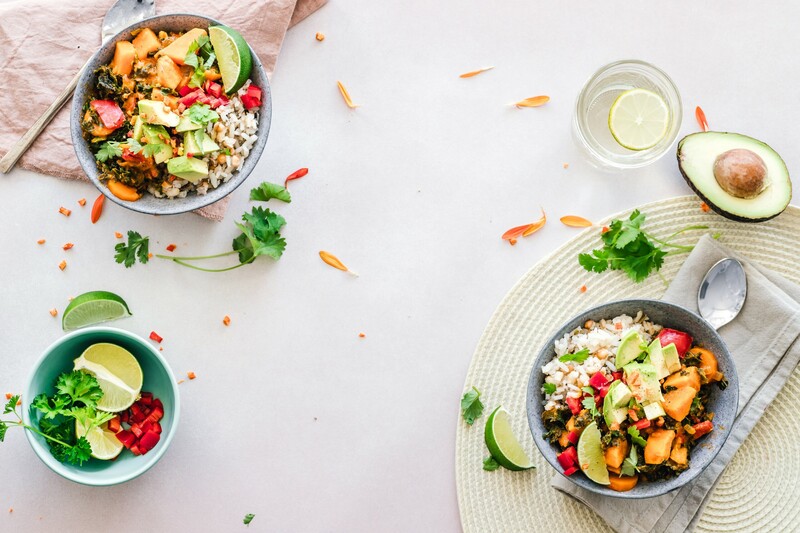 An all inclusive club for driven women who want a Done for You Solution to Meal Planning and Healthy Eating, without having to spend hours in the kitchen or giving up their favourite foods. In today’s busy world, it may seem impossible to eat healthy and stay on track. Where do we even start? 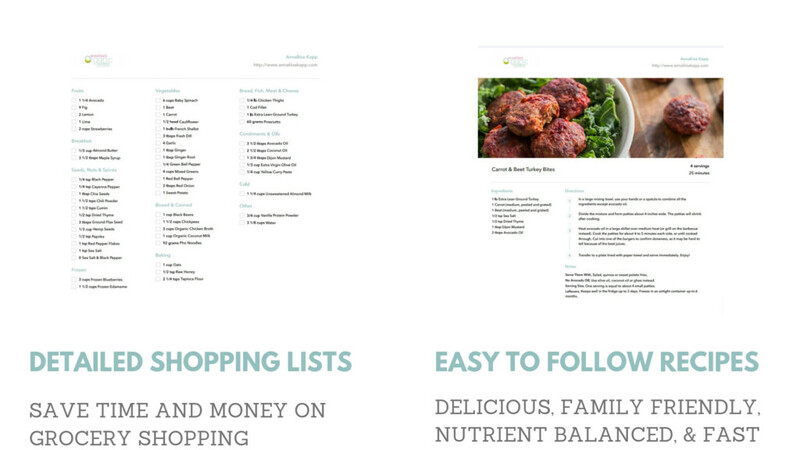 Which foods should we add to the shopping cart, and which should be put back on the shelf? How do we keep from eating the same boring but healthy meal over and over again? Of course we all want to be healthy, but our hectic schedules and stressful daily demands leave us feeling more frustrated and uninspired than ever. This is why we’ve taken the guesswork out of establishing a healthy lifestyle and have created the AOK Membership Program. Change is difficult, particularly when it comes to a lifestyle switch. I understand that the less work you have to do planning, researching, shopping, and innovating in the kitchen, the more likely you’ll be able to stick with your goals. I get it, because I am you. I have two amazing and enthusiastic girls, a full schedule, and I do all of the things that are expected of us. Just a few short years ago, I was still living under the impression that being super busy and doing everything was some kind of badge of honour. I put on a good front, but behind closed doors I was feeling completely overwhelmed, totally drained, and suffering in silence. Because I felt like this is what it took to keep it all together. I got it all done, but I was miserable. Then I thought to myself, there has to be a better way. How do people do this whole work, life, relationship thing and still feel peaceful, organized, and actually take the time to fill their own cup? What changed for me was 1. Asking for help more and 2. Having better systems in place. 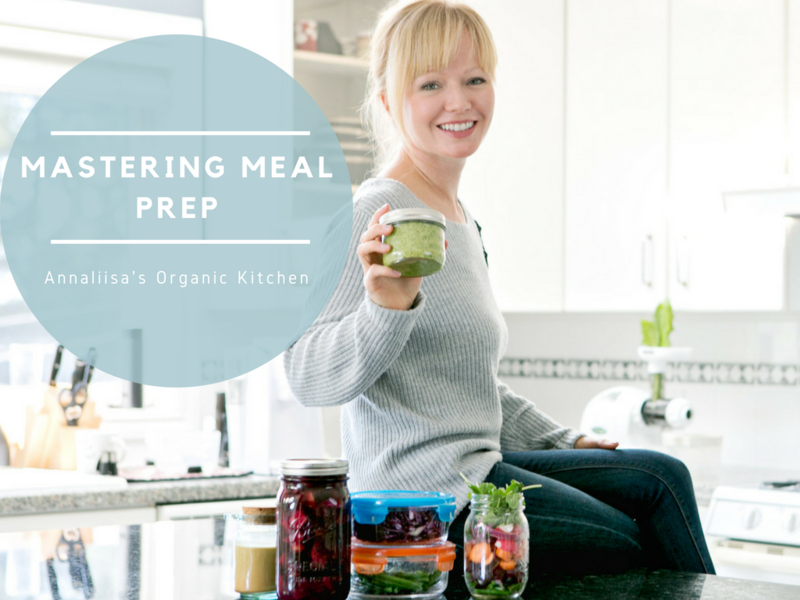 As a Registered Holistic Nutritionist, I knew what to eat and how to make sure I was providing proper nutrients for my body, as well as my family’s. But after long days of work, there were so many evening where I felt so unprepared and stressed at dinner time. I knew something had to change. So I made a commitment to create more systems and routines for myself and my family. 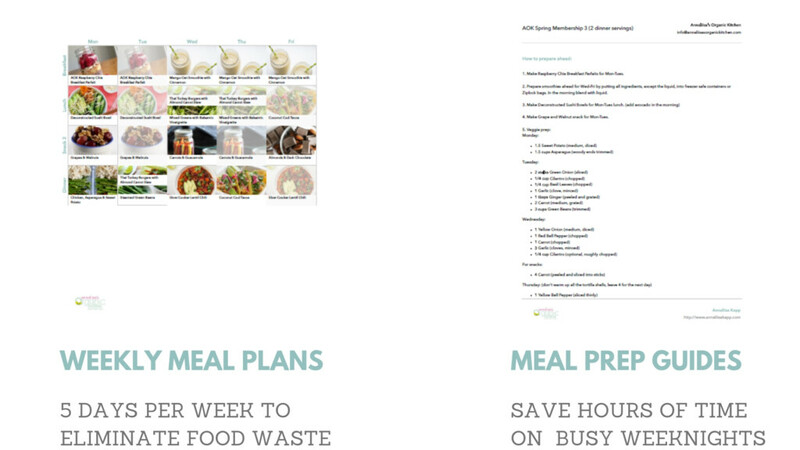 I started planning ahead, finding ways to make make healthy eating more simple and affordable, and finally scheduling in time daily to take care of me. YUP. Every single day. And it is possible for you to, sweet friend. You can eat healthy food, feel organized, and prioritize your health so you can have the energy and life you deserve, and be a living example of a truly balanced healthy lifestyle. And this is exactly why I have developed the AOK Nutrition Plan Program – an all in one solution to healthy eating that makes life simpler, less time consuming, and of course more delicious! 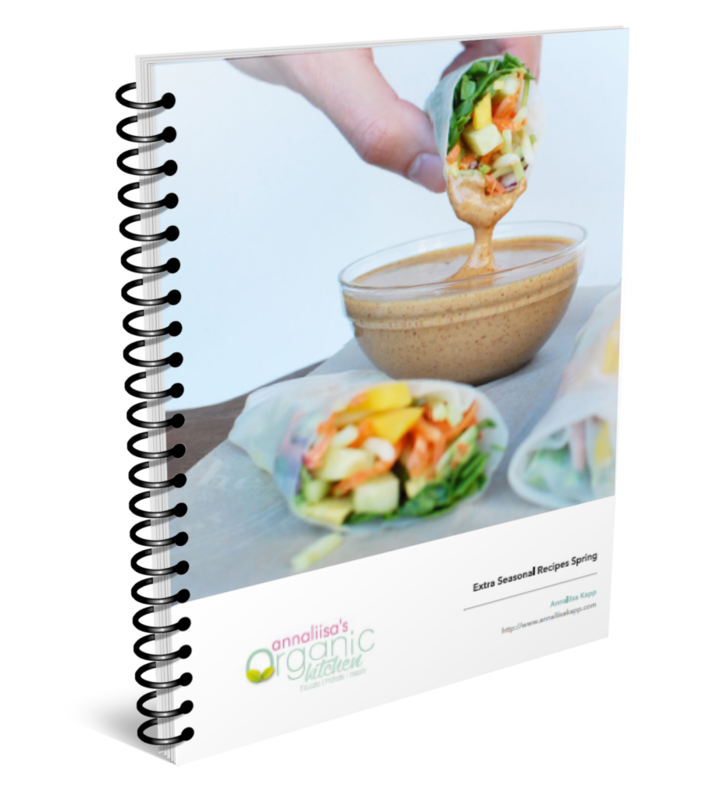 The right nutrition plan can inspire your love of natural, nurturing foods, help you feel confident in the kitchen, and help you achieve your goals for optimal energy and weight. 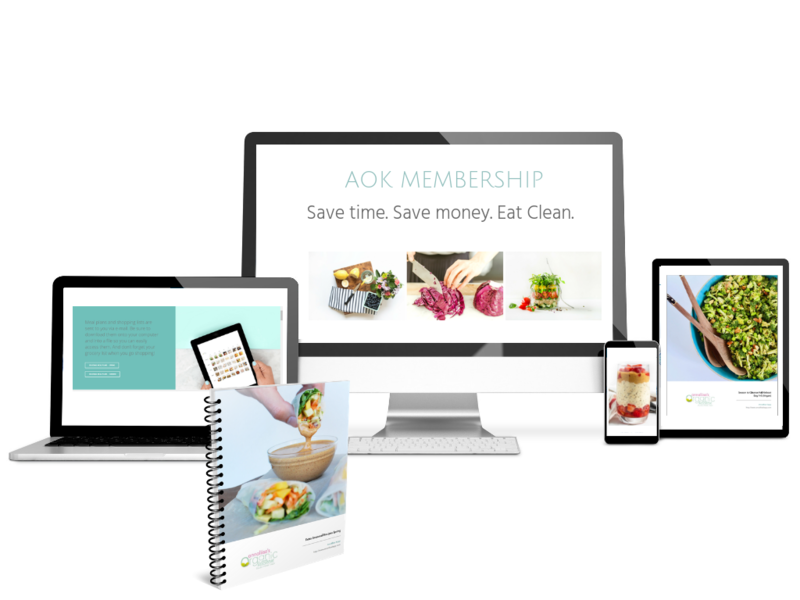 There are flexible AOK Membership options available to ensure the best fit for you. Downloadable documents, yours to keep forever! 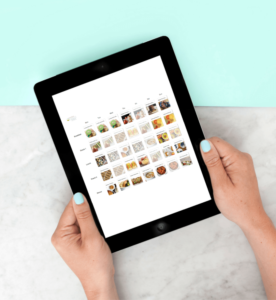 Step by step approach to creating your personalized weekly meal plans with ease. Learn how to use your time in the kitchen more effectively, save money with my proven techniques, and always feel like you have healthy food ready to go in the kitchen. What do you want your nutrition plan to look like next week, month, and year? It’s time to take charge of your health, and your life. Start your nutrition plan today. How will this program transform your life? 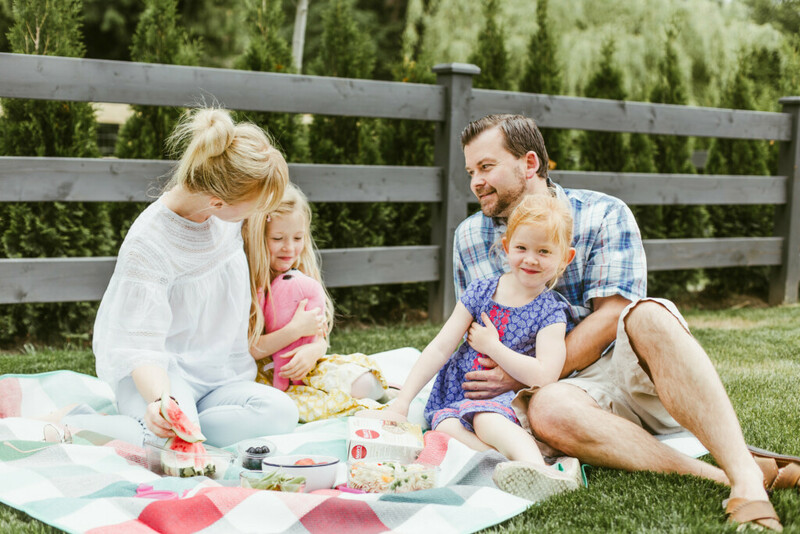 I’m a Mom of 4 and Annaliisa’s healthy yummy recipes are an absolute breeze to make and everyone in the family are happy taste testers. Annaliisa has helped me with getting my energy back, healthy sleep habits, stress management, kicking those nasty sugar cravings and above all TLC. Annaliisa was very informative, helped me understand what foods were healthy , energy building and supplied me with excellent recipes to follow. I have a better understanding of how to read labels and implement them into my daily routine. She is very knowledgeable in supplements, food choices and what does and doesn’t work for your body. I highly recommend a visit and enjoy the wealth of information she has to offer. That's only $24 per month or 67 cents per day! You can start with a free 7 day trial to see if it’s the right fit for you. To really experience a shift in energy and feel inspired, we offer seasonal memberships (3 months) or yearly (12 months) that you can cancel at any time. How much time will I have to spend in the kitchen? Generally, if you spend 1-2 hours of prep time in the beginning of the week, it will significantly reduce the amount of time you spend cooking daily. Dinner recipes range anywhere from 20 minutes to 60 minutes. Lunches are usually leftovers, and breakfasts take between 5 – 15 minutes. Do I get one on one time with you? This program is not a private nutrition consultation program. General questions about the meal plan and shopping lists will be answered but personal health concerns require a nutrition consulting add on. Yes, your seasonal membership is valid for 90 days. You are required to cancel 48 hours prior to the end of your membership date if you don’t wish to continue with the membership for another season. (same applies for the yearly membership) Simply e-mail info@annaliisasorganickitchen.com and we will take care of it in a jiffy! Yes, all meal plans included in the program include vegetarian substitution suggestions. The meal plans don’t follow any specific dietary theory. Recipes include ingredients from all food groups. Are the meal plans gluten free? Yes. If any meals include gluten, gluten free options will be suggested. Dairy is only optional. Ex. Add goat cheese to salad. Will my partner and other family members enjoy these meals? Will the recipes help me with my low energy? 100%. You see, what zaps our energy the most, are foods that are loaded with allergens, sugar, and food additives. When we start to cook more at home and reduce the amount of processed foods and sugar from our diets, our energy will naturally go up. We also lose energy from stress. So having meal plans, shopping lists, and a variety of seasonal recipes at your fingertips, will help to reduce stress and anxiety, as well as help you feel more focused on the things that matter to you.